Time is Money: Speed up your data processing! 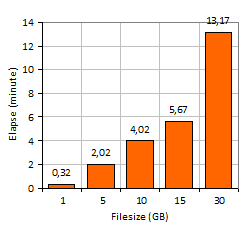 XSM sorts 1 Gigabytes in 40 20 secondes, 10 Giga in 5 4 minutes, on a less than $500 machine! But why use an external sort ... ?? Thank you for allowing me to evaluate your excellent product. In terms of performance it was clearly the best product available on the market. I bench-tested it against a number of other sort utilities and it performed at a minimum of 2.5x the speed of the other programs. I am therefore in a position to recognise high quality, and your software is amazing. XSM has outstanding performance through its proprietary multi-threading technology, making the most of nowadays multi-processor architectures both on High-end IBM, SUN, HP machines as well as on affordable PCs with multi-core processor. XSM has powerful features that meet classic Sort / Merge / Split / Filter operations necessary for DataWareHousing and DataMining. With evolution of Information Technologies (storage capacity, CPU power), data volumes have exploded in last 10 years. We cannot only rely on CPU power: Software performances are essential! In this example, we use MySQL, which is pretty fast in data loading. 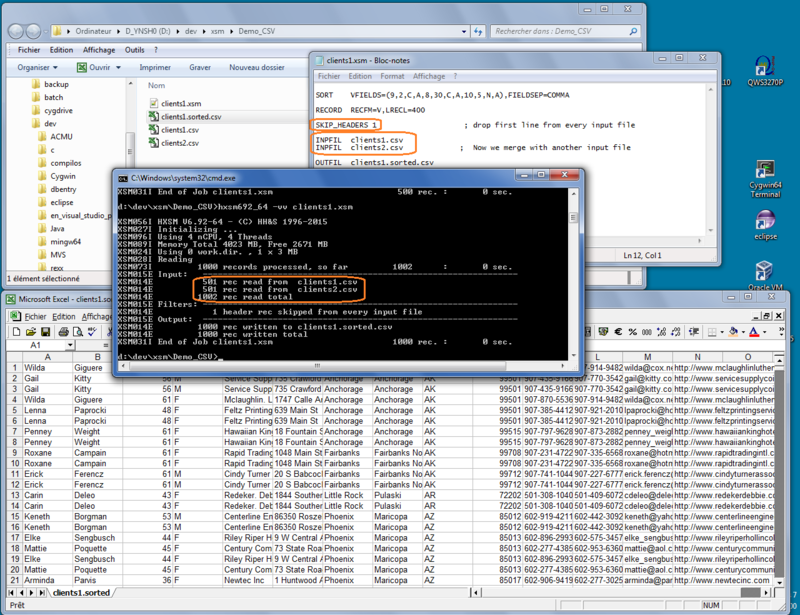 if your input data is pre-sorted, your database server will just have to load, with no work to build indexes. total : 10200 secs = 2 heures 50 minutes 28 secs. total : 528 secs. = 8 minutes 48 secs. roughly 20 times faster! Now, you clearly understand the use of external sorting : Pre-sorting is necessary to speed-up huge data processing. Don't let your "I can do everything!" database engine do it : it is not its job ! You need to merge / split / filter / copy data according to given criteria. Let's take a trivial example: You daily receive your Sales Report composed of 50 files and you wish to split the data per Zip Code, creating one distinct file per Zip code. Use your RDBMS: most folks would go for this option, but it's not the good one! Use XSM as batch external sort/merge : The good option! Rather than a long marketing speech, just read clients feedback then download and evaluate freely XSM by yourself! © Copyright HH&S 1995-2019. All rights reserved.